Having worked with tons of Charter Operations over the past decade and a half, we understand the training needs of Part 135 operators. Our On Demand Scheduling Philosophy means that you can schedule courses when they are convenient for you, and not have to worry about missing out on trips. Each training session is designed to teach your pilots the fundamentals they’ll need in the air, as well as adapt to their personal strengths and weaknesses. Beyond just passing their checkrides, they will feel safe and competent leaving our facility. Our team can also assist you with 135 manual development or review to comply with FAA Part 135 training requirements. 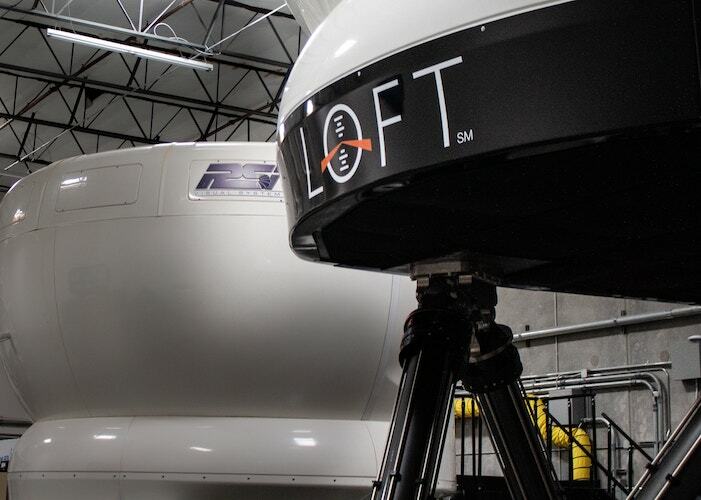 Once approved by your POI as a training partner, we will provide convenient, efficient, and cost-effective 293 and 297 training and checks to meet the needs of your flight department. Worried about setting up all the travel arrangements for your pilots? You shouldn’t be, because our concierge department will take care of everything for you. All of the flights, hotels, and any other travel arrangements will be set up by our team here. As aviators ourselves, we understand how frustrating restrictive training schedules can be. Because of that, all of our scheduling here at LOFT is done on-demand. Meaning that we do not operate pre-scheduled classes, but rather start our courses around our clients’ availability. This keeps our class sizes small, and our schedule flexible.